From the medieval ale houses of the 13th century, through the 16th century introduction of ‘licensed’ premises, to the modern day ‘bank to pub’ conversions and Craft beer revolution, the city’s drinking dens have rarely been short in number or variety. 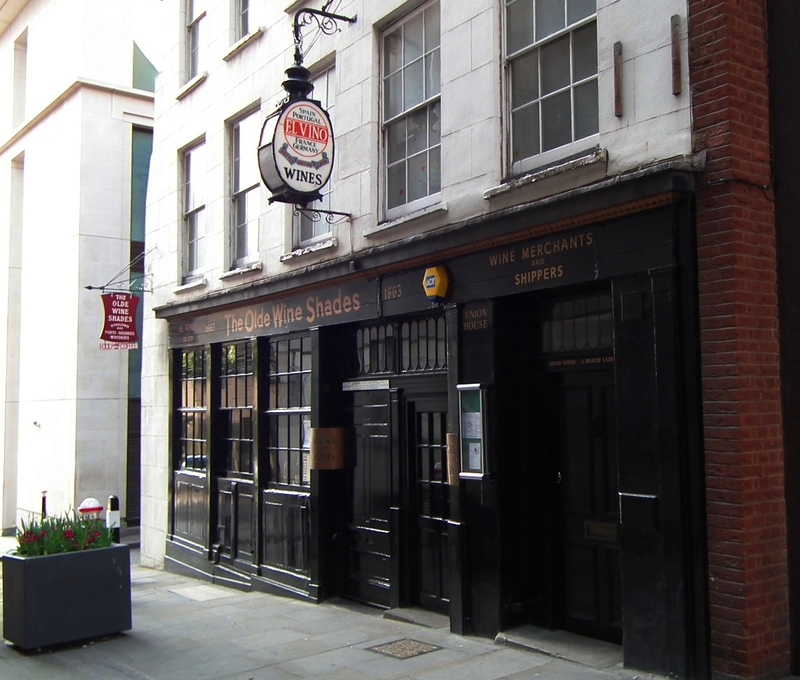 Very few pubs remain from the pre-fire era but hidden away down a small alley off Hatton Garden, skirting the City boundary, can be found one of London’s great survivors. ‘Ye Olde Mitre’ dates back to 1546 and is one of the Capital’s finest (and smallest) pubs. In September 1666 the Great fire of London burnt over 80% of the city to the ground, precipitating a then unprecedented period of rebuilding. Several pubs standing today originate from this post-fire era. In some cases the rebuilding of religious structures had positive consequences for future city drinkers. The Masons and labourers, many working away from home, required overnight accommodation in a devastated city devoid of it’s usually numerous hostelries. One solution to the problem was to build, or rebuild, a pub adjacent to the building site. 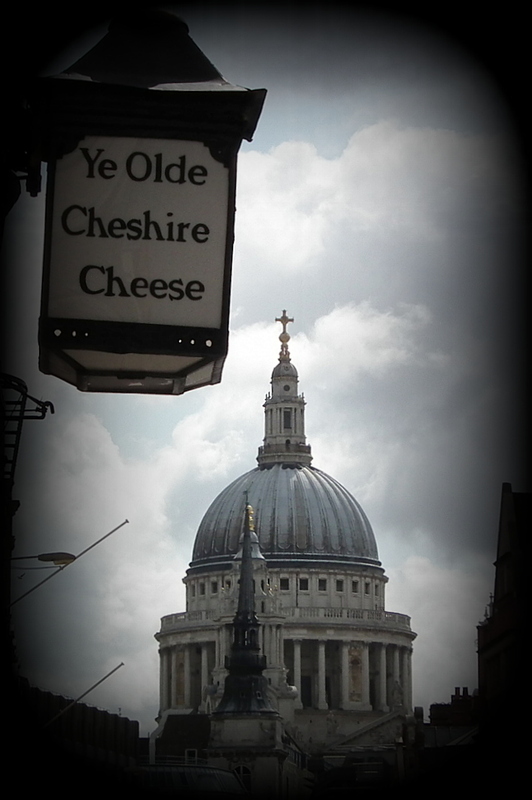 Two examples of this are ‘Ye Olde Watling’ – (St. Pauls Cathedral), and the ‘Old Bell’ – (St. Brides church), both are now owned by Nicholson’s pubs. Towards the end of the Victorian era London, like the rest of the country, witnessed a pub building boom. Some of the city’s finest pubs were built during this period, and a visit to a classic pub such as the ‘Blackfriar’ at Blackfriars is a must. The biggest names in the brewing industry now ensure that London’s historic drinking houses are preserved for today’s discerning clientele. Each brewer seemingly having it’s own style of pub within the city. 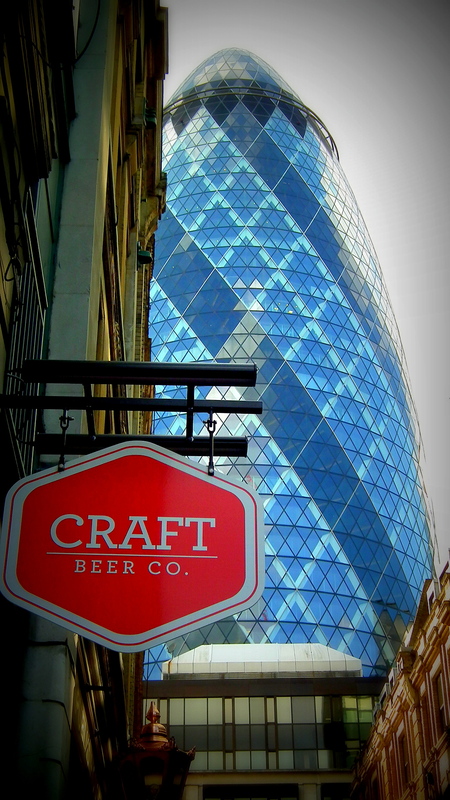 Reminiscent of today’s top architects (Foster, Rogers etc), who vie for their own signature design to light up the city skyline, the breweries vie for the classic pubs that exist within the unique setting of the City of London. 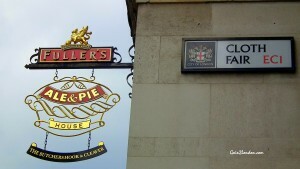 The City of London is primarily a business centre, and this is reflected in it’s pubs opening times. Very few pubs are open at the weekend, and even those that are may have restricted hours. The best time to visit is Monday to Friday. The following is by no means an exhaustive list of City pubs, but is designed to reflect the eclectic mix of historic and modern drinking establishments within the square mile. All are regularly visited by thelondoncityguide, for research of course. Fullers: Owners of two of the largest and most impressive pubs in the city, both ex bank buildings ( part of one is a renovated Smithfield butchers shop ). The Counting House, Cornhill, The Butchers Hook & Cleaver, Smithfield. 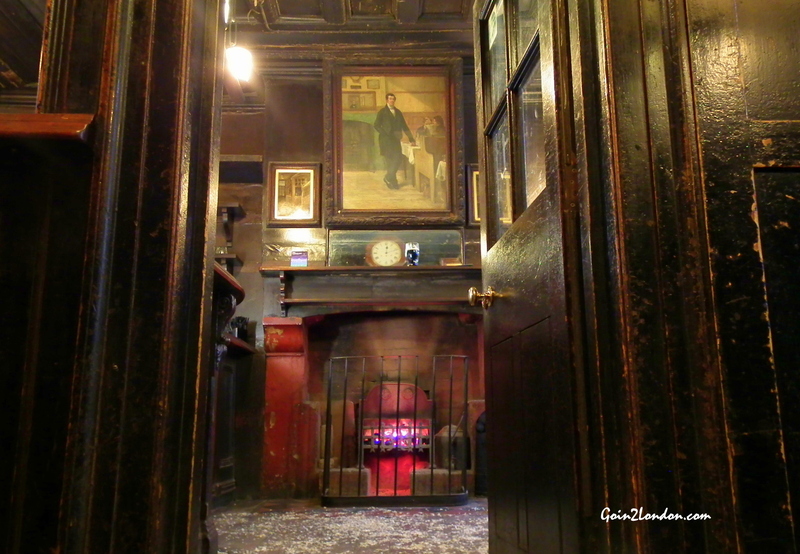 Sam Smiths: Yorkshire based guardians of historic London pubs, including possibly it’s finest. Ye Olde Cheshire Cheese, Wine Office Court (off Fleet Street). 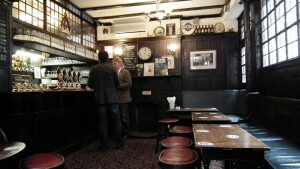 Nicholson’s: Several superb pubs, and an excellent range of real ales. The Old Bell, Bride Lane (off Fleet Street). Ye Olde Watling, Watling Street. Williamson’s Tavern, Groveland Court. Blackfriar, Queen Victoria St. The Walrus and Carpenter, Monument. Shepherd Neame: Excellent collection of pubs, but two stand out. St. Michaels Alley (off Cornhill). Half a dozen outlets in and around the Square Mile, but this pair (both housed in impressive ex-bank buildings) are two of the best pubs in the area. They both offer the usual extensive range of beers expected from Wetherspoon’s but the array of real ales available in the cavernous Crosse Keys is fabulous. The Crosse Keys, Gracechurch St. The knights Templar, Chancery Lane. Young’s: Sometimes a pub is worth visiting just for it’s location. The Lamb Tavern, Leadenhall Market. 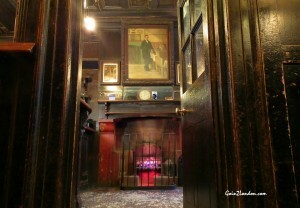 Others: They don’t make ‘em like this anymore, real pubs ! The Olde Wine Shades, Martin Lane (Near Monument Tube). Proudly displaying ‘1663’ on it’s wooden frontage, this hidden gem is understandably popular with local city workers. The extensive wine selection is complemented by fine basket snacks. Enjoy cheese & biscuits with your favourite tipple, in an ‘olde’ atmosphere unique to the shades.